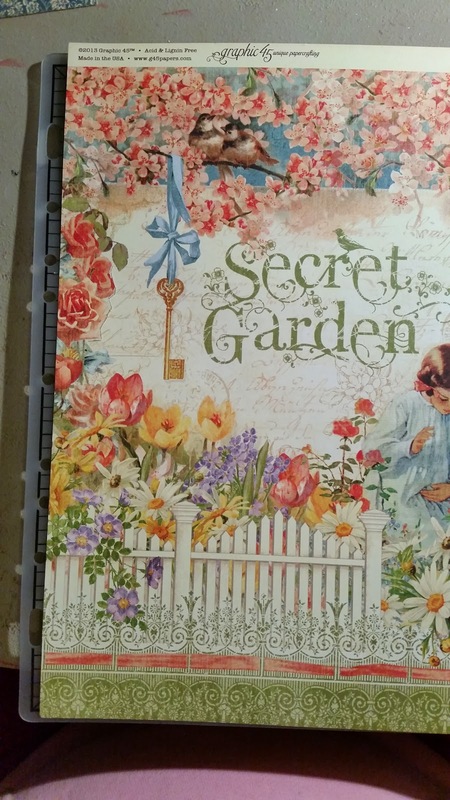 To create this layout I first fussy cut out the interior of the Secret garden paper to create a floral overlay. You will notice that at first I had the little girl left in. After laying my whole project out, I decided to fussy cut her out of the layout. I placed the fussy cut floral overlay onto the card stock background and lightly marked where the floral overlay would sit. 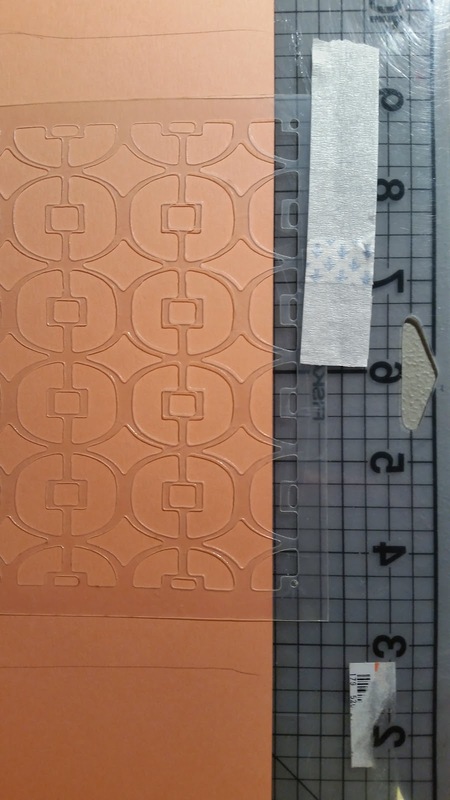 I then used the Sin City Stencils Pattern 20 and used Versamark embossing ink to create the background. I printed my journaling block and attached to the background cardstock and then added my photo. 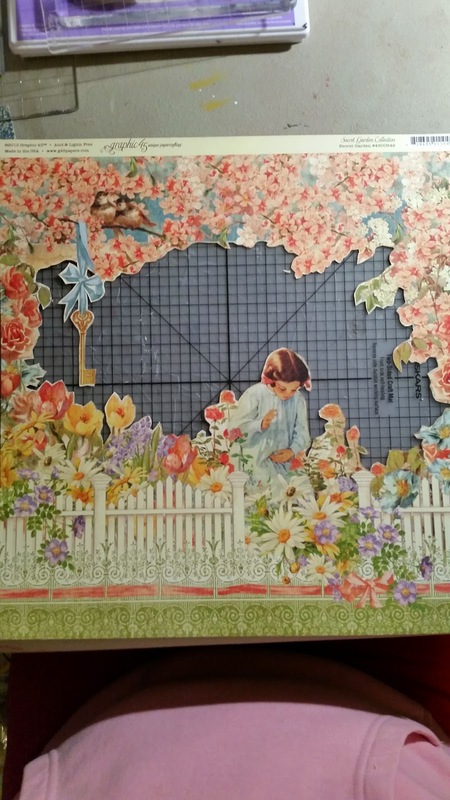 I attached the floral overlay using mounting tape and strips so that there was some dimension to the layout. I added a ribbon strip and bow to the layout along the bottom. 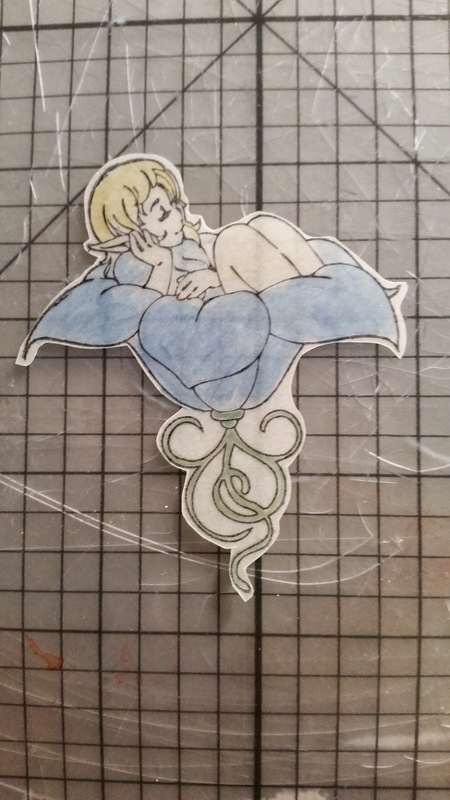 I then stamped multiple fairy images onto vellum using Staz-on Ink. 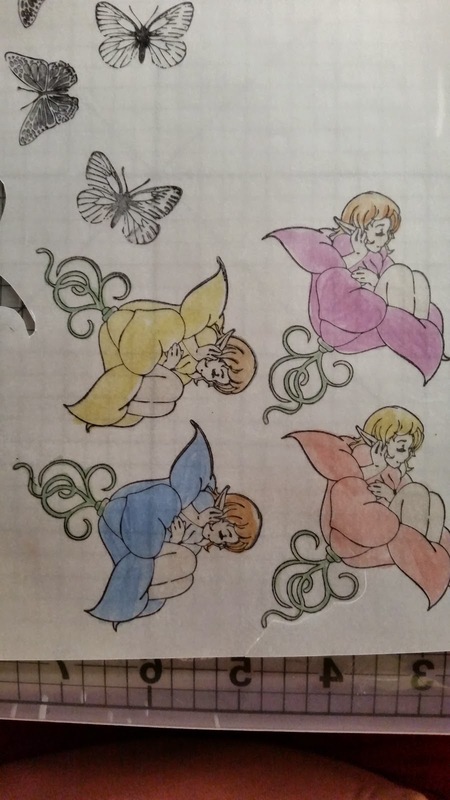 I stamped 5 of what I call the "buttercup fairy", one of the fairy bust with the hair wrapped around, several of the butterflies (but only used one) and one of the Fairy torso with her hand over her heart. 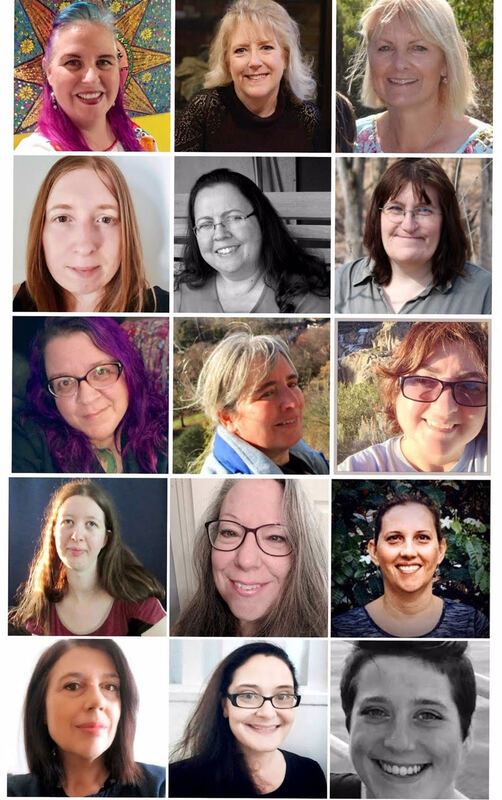 You can see the exact images in the posts below. I then fussy cut out each of the images. I added the fairies and butterfly onto the layout. 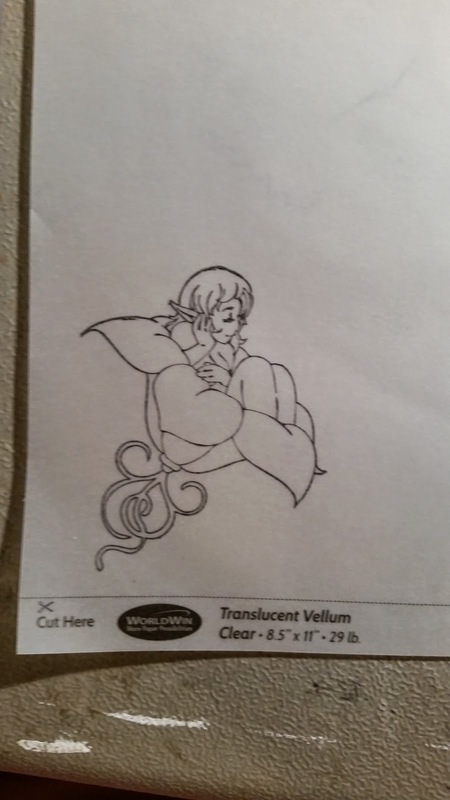 Since the vellum is see thru, I was able to used the back side of several of the images switch the way the fairies were facing. 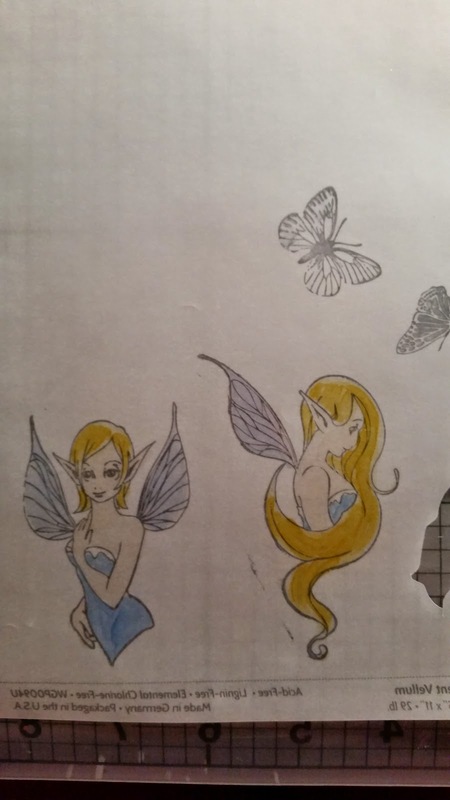 I added stickles to the wings of the fairies for a little fairy dust. And here is the final product. I love how the fairies are see thru, it makes them seem more magical. Totally gorgeous page/layout.. your fussy cut of the stamps is great!! WOWZERS! That's a lot of fussy cutting, Chris. Your layout is adorably gorgeous! 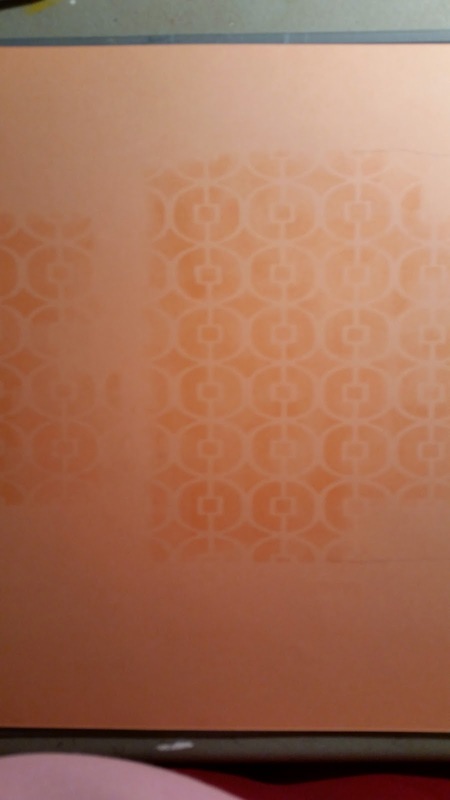 I really like how you stamped the images of vellum and used them like overlays! Love, love, love your fairy garden layout, Chris. Great tutorial on how you did the lovely fairies! This is stunning! Love how you stamped the images on vellum!